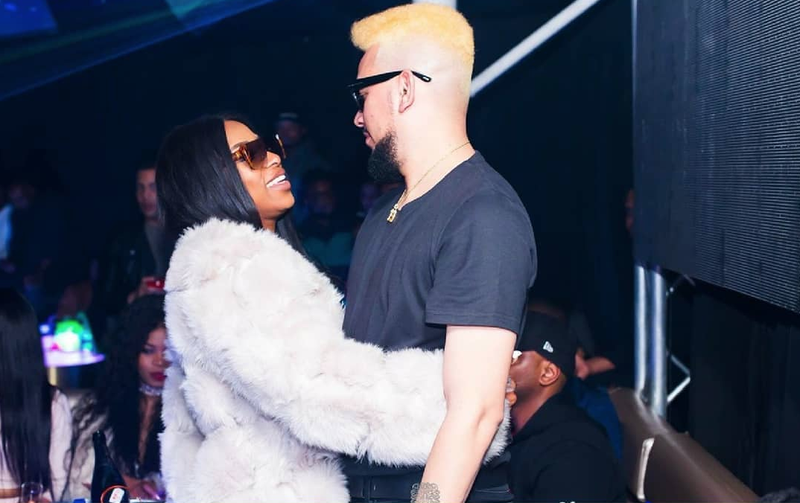 For several months now, DJ Zinhle and AKA's fans have suspected something romantic is going on between the two. Both denied the rumours, claiming they were just trying to co-parent their daughter Kairo in a healthy environment. But evidence is piling up to support claims the former lovers are back together. Zinhle and AKA were both spotted on holiday in Cape Town this week. While they did not share any pictures of each other on Instagram, it was clear they were hanging out together. A Twitter user shared a video of the exes shopping and taking in the sights at the V&A Waterfront. Between Zinhle's red hair and AKA's blonde hair, they were hard to miss. The "co-parents" then headed to dinner at Nobu restaurant. AKA shared a video of himself having dinner at the restaurant with some of Zinhle's friends. She was nowhere to be seen in the video, but judging from other videos posted on Instagram, she was clearly at Nobu as well - sitting right next to him! *click tweet to see the full image. Twitter users are not convinced Zinhle and AKA are just co-parenting. Mmm, perhaps this is a new kind of co-parenting millennials are trying out.